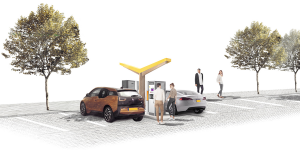 Fastned opens its first ultra-fast charging station in the United Kingdom. 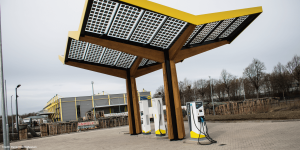 Two charge columns stand ready to offer up to 350 kW on a multi-charger site in Sunderland, near the factory where Nissan produces all Leaf EVs for the European market. 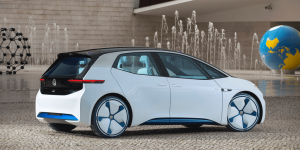 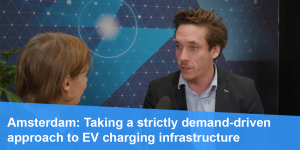 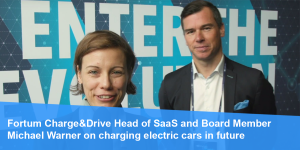 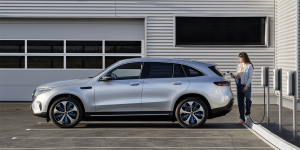 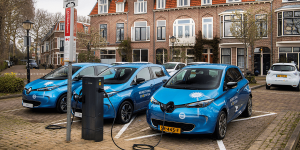 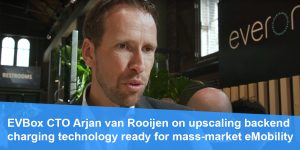 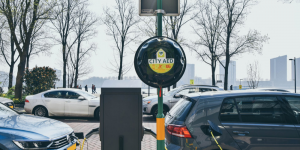 With carmakers gearing up to deploy electric cars en masse, we spoke to EVBox CTO Arjan van Rooijen about the network’s backend, now a cloud-based platform called Everon, and ready to handle millions of global transactions for charging. 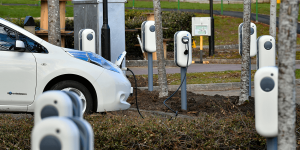 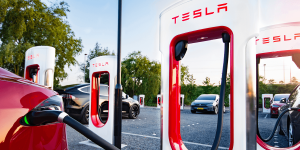 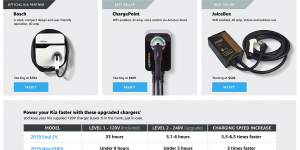 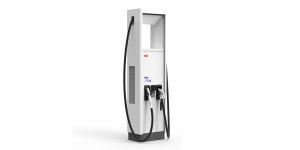 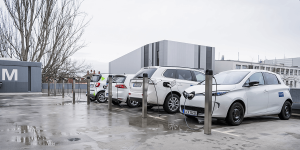 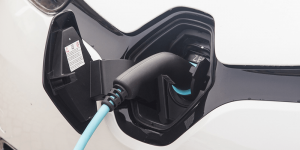 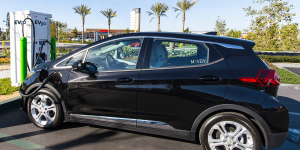 The British leasing company has partnered with NewMotion to install a total of 50 chargers at their main office in Swindon, as well as another 10 in Manchester, with more to follow in Birmingham. 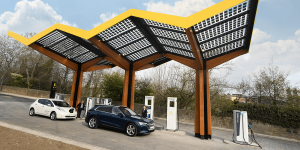 Jaguar Land Rover has had NewMotion (Shell) install 166 charging points at their development centre in Gaydon. 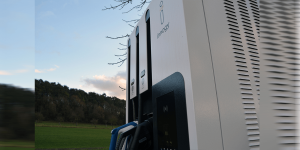 The 7 kW chargers are ready for employee use. 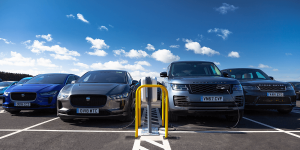 JLR will also install charging stations in the Gaydon visitor car park and later at other locations in the UK.